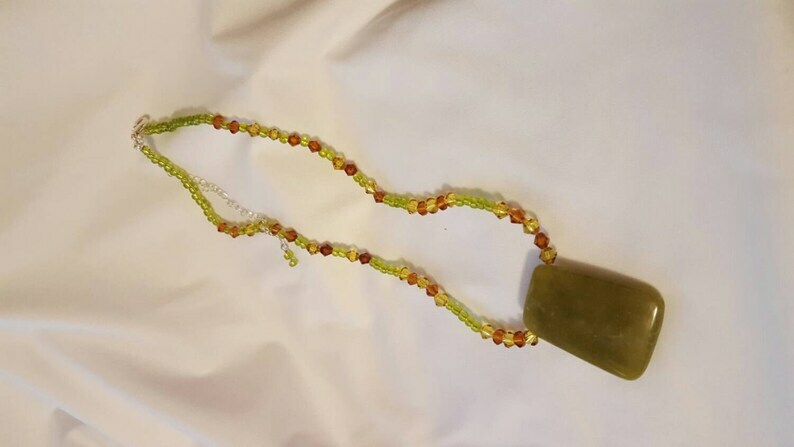 Beautiful Amber and Topaz bicone beads dance with Peridot seed beads to offset a beautiful Jade pendant. This is a great fall piece and would compliment a wide range of outfits and styles. This necklace is adjustable to suit where you'd like the pendant to sit. It had a silver lobster claw clasp.